The book about moo is a very good book a girl was a city and know a country kid know you shoud read it. 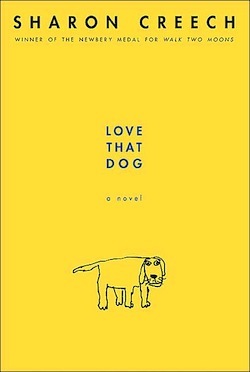 I love “love That Dog” and I love this book. 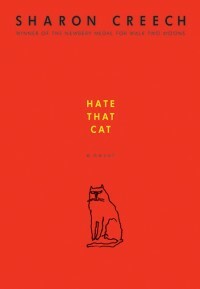 But I don’t like the way the book says hate That Cat cause I love cats and animals. 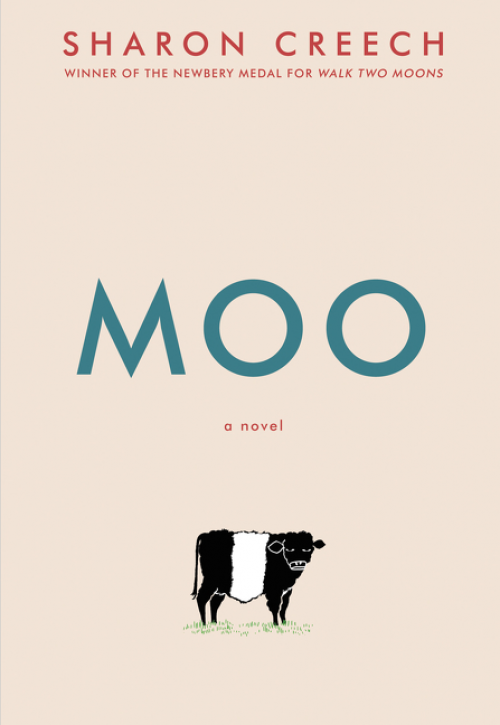 April is National Poetry Month, so I decided to read Moo by Sharon Creech. I was all patting myself on the back, like: “Great poetry book pick, Karen!” But lo and behold — I soon realized it’s not actually a poetry book! Some of it is in poetry, but some of it is in prose. It’s kind of a combo novel. Well, once I got over the shock, I realized that it didn’t matter. It didn’t feel jarring at all to move between poetic verse and paragraphs of prose. In fact, I found that I really enjoyed the unique approach. In a way, my experience as I discovered Moo is kind of like Reena’s experience in the book. When she first meets Mrs. Falala, she thinks the old lady is super crabby and horrible — but then Reena realizes there’s more to her neighbor than she initially thought. But I’m getting ahead of myself. Maybe I should tell you who Reena and Mrs. Falala are: Reena is the narrator in Moo. She and her family have just left behind big-city life and moved to Maine. Mrs. Falala is their new neighbor — and in a way, she becomes Reena’s boss. That’s because Reena’s parents volunteer Reena and her younger brother to help out Mrs. Falala on the farm. As you can imagine, scooping cow dung is NOT glamorous work. Plus, Mrs. Falala is not particularly friendly. So Reena is not at all pleased with the situation. But over time, Reena’s feelings start to change. She starts to feel more comfortable on the farm with Zora the cow, Paulie the pig, China the cat, and Edna the snake. Not to mention Mrs. Falala! But there are still challenges, especially for a former city slicker like Reena, and I enjoyed reading about her adventures trying to wrangle Zora and settle into her new life. I highly recommend this book to fans of Sharon Creech’s other books, like Love That Dog, Granny Torrelli Makes Soup, and Walk Two Moons. And since Moo is about a kid finding her way in a new place over the summer, it’s also a great pick if you enjoy stories about people trying out new things during their summer breaks, like Half a Chance by Cynthia Lord and Ten Good and Bad Things About My Life (So Far) by Ann M. Martin. Not sure you’re ready to spend time with a grumpy cow like Zora? You can check out an excerpt of the book on the author’s website! Like Reena at the start of the book, Karen is most definitely a city girl who prefers to be indoors. Maybe spending time with Zora would change that?